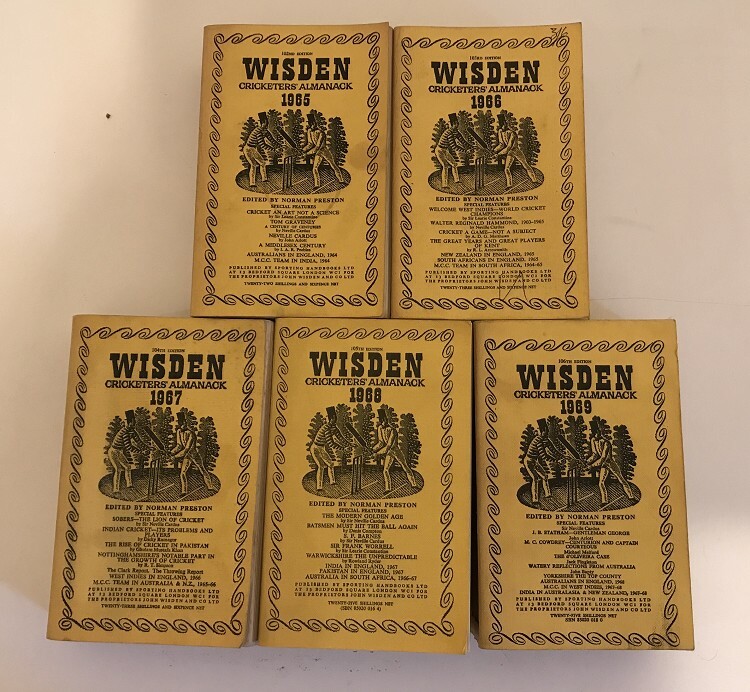 A set of 5 Wisdens, in a run from 1965 to 1969, all Linens. The books are in Very Good condition, all 8s , there is and odd small mark here and there to the covers but internally very nice indeed, tony loss to rear corner of 1966 and the 1968 is very nice indeed. Nice inside. More photos on request. May split, just ask. Other sets available in these years or others. Payment Details: Card, BACS, Paypal or cheque please.